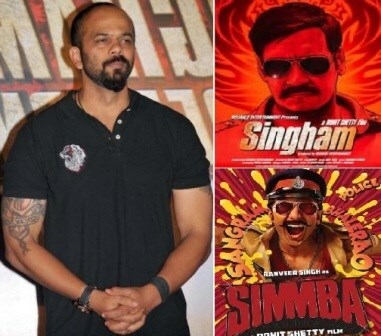 #RohitShetty created quite an amazing Cop world for Singham, starring Ajay Devgn. Now the film is being made in animation franchise #LittleSingham. The filmmaker is also making a comic cop caper with #RanveerSingh titled #Simmba. Present at the Launch of Little Singham animation series, filmmaker Rohit Shetty hinted about a “female Singham” in making. In the wake of “Female Empowerment” and “Gender Equality” the filmmaker also hinted that soon there will be a female Singham movie. Rohit Shetty has predominantly worked with Ajay Devgn, but currently he is busy shooting for Simmba, which is an action comic drama featuring Ranveer Singh and Sara Ali Khan. "Little Singham", inspired by the Ajay Devgn hit film series "Singham", is an original kid's content series in India and will be aired in four languages - English, Hindi, Tamil, and Telugu - on TV from April 20.